Watch Chicago Fire Season 6 Episode 13 online via TV Fanatic with over 6 options to watch the Chicago Fire S6E13 full episode. Affiliates with free and paid streaming include Amazon, iTunes, Vudu, YouTube Purchase, Google Play, and Verizon On Demand. 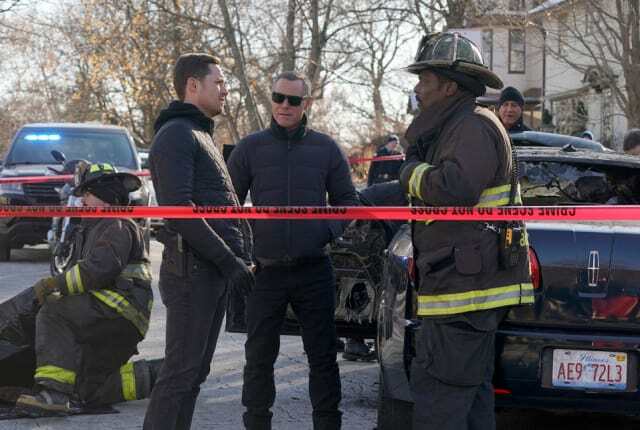 On Chicago Fire Season 6 Episode 13, Chief Boden unwillingly agrees to let Dawson and Brett go undercover to track down the suspect in a bombing case. Antonio: We'll improvise. It's what we do. Permalink: We'll improvise. It's what we do. Kelly: Two days ago, you were saying you were wanting to move out because it's getting weird with me, and now you're worried about his sister? Stella: I know. But meeting his family, I mean, he might as well come with a priest and ten limos because that's what that means.